Tv Remote Control For All Tv to convert your android into a universal TV remote. 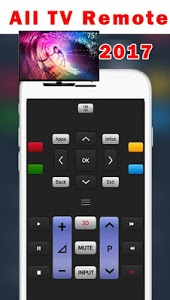 This app Tv Remote For All Tv is really easy to configure for your television and is really easy-to-use. supports most TV brands and models. Whether you have a Samsung TV, LG TV, Sony TV or any other branded TV, you can always convert your android device to a remote for your TV. This TV Remote Control app can also connect to your smart TV using WiFi and configuration happens in seconds. 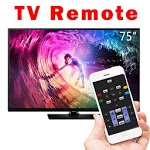 television brands (SAMSUNG, FUJITSU, LG, Vizio,Panasonic, PHILIPS, SHARP and SONY Remote controls) maximum TV brands, and the remote control app will be updated accordingly. Switch on the same network access if a SMART TV, or other smart TV. Similar to "Tv Remote Control For All Tv"